The tiny house movement has really taken off and is growing in popularity among preppers as well. The idea is you don’t need to think big, you need to think about what exactly you and your family need to survive. The problem is, the tiny homes have gotten so popular, the builders have priced them out of the market. A tiny home for definition purposes is one under 400 square feet in size and can cost as much as $80,000 to build. Call the same house a “cottage” and suddenly the cost to build it lowers dramatically. Another problem with a tiny house is that many towns have zoning laws preventing tiny homes to be built on foundations so instead, they are often time built on wheels, to skirt the law, appearing to be portable as if it were a camper or RV. Under the law, tiny homes with foundations are typically defined as an “accessory dwelling unit”. Another problem with tiny homes or “accessory dwelling units” is getting the proper insurance for them. Anyone who has tried can tell you what a nightmare it can be. A cozy cabin or cottage, on the other hand, is different. It’s small, sure – but it’s also not called a “tiny house” so the price to build one is far more reasonable. They also are built on foundations and within the zoning laws of each town. It also is a stand-alone unit, and considered a “real property” and as such, isn’t going to be a nightmare trying to insure. 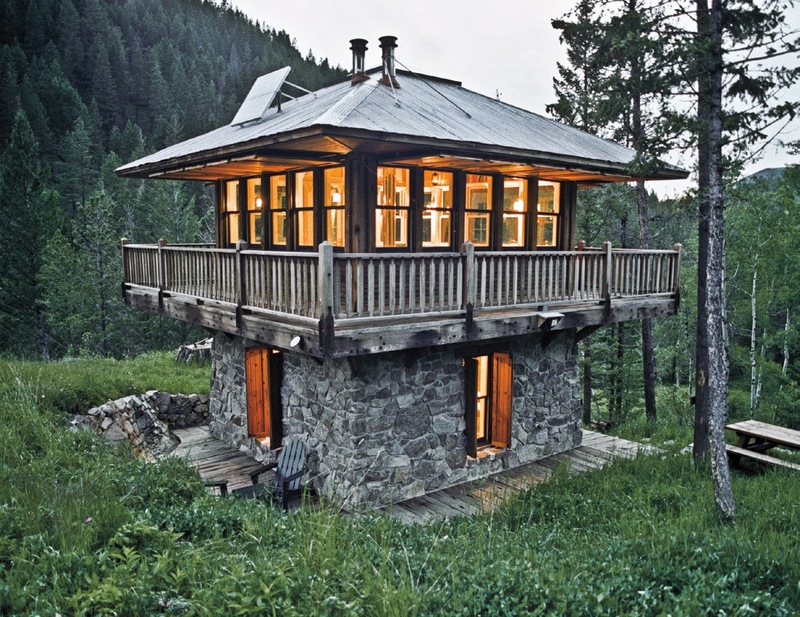 This particular cabin, (shown below) is 444 square feet. It’s small but big enough to realistically fit your families needs, assuming you don’t have a big family. The average family home is 2,662 square feet. All of that space takes up valuable resources that in a worst case scenario you don’t want to expand. What I like about a cabin instead of a tiny house is that you have room to breath. Living in a tiny home is like living in a van. Do you really want to live in your van with your family? Of course not! Without pointing out the obvious, adults need their own space. They need privacy come bedtime. A cabin, as opposed to a tiny house, will give you that. I’m not saying tiny houses aren’t a wonderful idea. Sure they are, especially for single people. But when it comes to a prepper and their family, I strongly suggest considering a cabin instead. You don’t need a big house. Smaller homes are less expensive than larger ones not only to build but also for tax purposes and to heat and maintain. This lower cost of living is something any family needs. It will allow them to spend any extra money they have on prepping for the future. I looked at house plans today. It was a 1 bedroom, 1 bathroom home and it was 1,687 square feet! What a waste. The whole thing should have been 600 or less. You don’t need a big home. You don’t need a dramatic entryway. Who are you trying to impress? If you want to impress me, show me how much money you saved by getting a smaller home with solar power roof tiles. Show me your cute but functional home that has no electricity bill because you were smart enough to go fully off grid. You don’t need a house bigger than 1,000 square feet until you have a lot of children and will need more than 2 or 3 bedrooms. 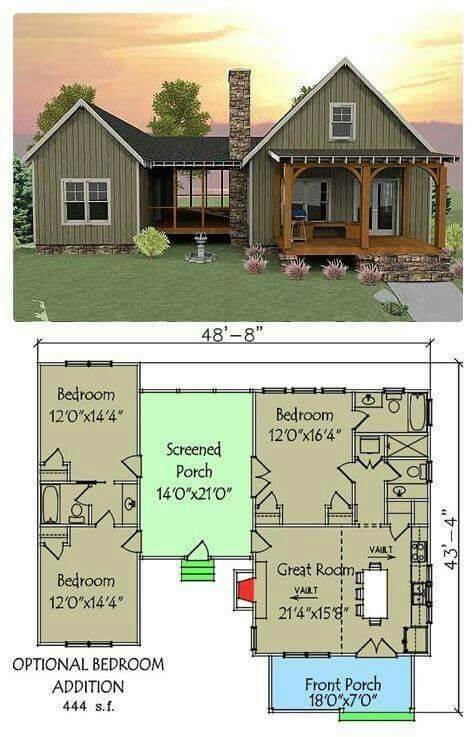 Here is a 910 square foot cabin that has two bedrooms. Previous: Previous post: What legally is the smallest house you can build in Texas?